SHIRLEY, Long Island (WABC) -- A Long Island man is under arrest after police say he drove while intoxicated and crashed his vehicle into two police cars in Shirley early Sunday morning. Two officers were assisting a disabled motorist in the left lane of southbound William Floyd Parkway when Jonathan Kunstadt of Farmingville crashed his 2003 Chevrolet Malibu into both police vehicles at approximately 3:30 a.m., police say. Both police officers and the disabled motorist were outside the vehicles at the time of the crash. The disabled motorist's vehicle, a 2000 Nissan Maxima, was not struck. One officer was taken to Brookhaven Memorial Hospital Medical Center for treatment of minor injuries. The other officer and the disabled motorist, a man, were not injured. 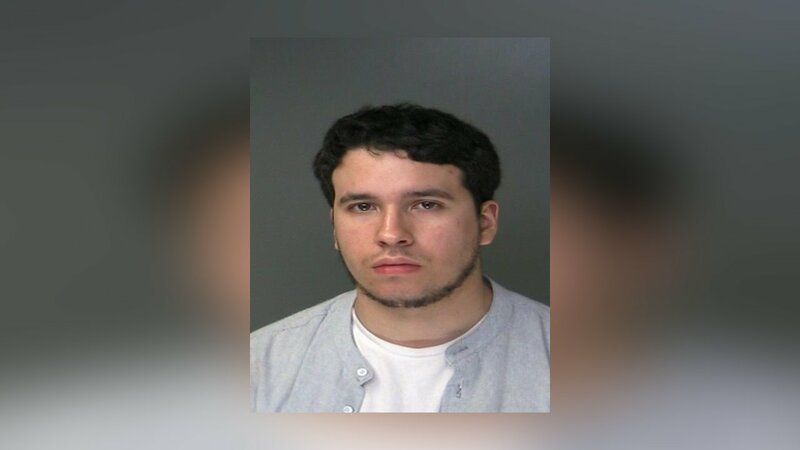 Kunstadt had five passengers in his vehicle at the time of the crash, one of whom, Gunnar Cortes, 22, of Mastic, was seriously injured, according to police Three other passengers suffered minor injuries. Kunstadt, 22, was charged with Driving While Intoxicated.